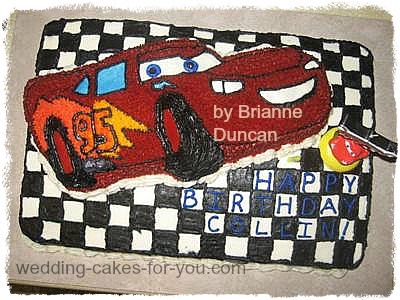 Disney Cars Cake For Collin! My Disney Cars Cake For Colin! Cake decorating has been handed down to me from my grandmother. Grandma, aka "Bama," made us beautiful decorated cakes for birthdays, Easter, Valentine's day...and now it is a tradition I am continuing with my children. There is just something special about a homemade decorated cake for your birthday. Our son, Collin, was born on my birthday two years ago. (Dad is happy he only has one birthday to remember!) About three months before his second birthday, which was this past December, we rented the Disney movie "Cars" from the library. Well, needless to say, we watched that movie at least once a day, for a full two months. We finally had to return the movie to the library but grandma and grandpa just had to buy if for Collin! Well, I knew exactly what birthday design to make him! I found a Lightning McQueen shaped pan. I ordered it, it came, but was rather small for almost 30 guests at the birthday party. I needed more ! After I had the sheet cake put together, I covered with white buttercream frosting. Then I made a grid from one inch squares/strips to get a checker design. 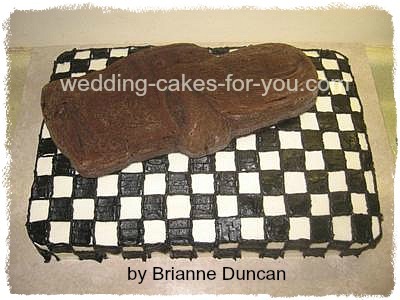 I then piped in black frosting, smoothed the squares out so the white sheet cake looked like a race tracks checkered flag. Next, I positioned the Lightning McQueen and started decorating! What I found most fun was doing the tires on the car. I took a #16 star tip and used a continual stream and went around in an oval until I had the whole tire filled in. It looked just like the tread on a tire! number in stars! It turned out great! Heat butter and water until butter melts. Add sugar, salt, and flour. Mix well. Add remaining ingredients; mix well. Pour into a greased 15X10 pan. (I also floured my pan so it was easy to remove.) Bake at 350 degrees for 20 minutes. For the raspberry filling I used a jelled raspberry filling that I had found at the whole foods pantry. I believe it is mainly used for pastries. 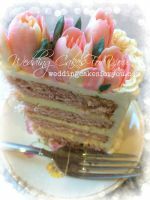 But worked well for this layered cake. The sour cream chocolate cake is what Bama always made her decorated cakes out of so that is what I use too! Plus it is a cake that stays so very moist and is easy to work with. Mix sugar and sour cream. Add coca dissolved in hot water. Add eggs, flour and soda. Mix together well. Pour into greased and floured 9x13 pan. Bake at 350 degrees for 20 to 25 minutes or until done. I use a piece of smooth wood, at least 1/2 inch think, covered in contact paper as my board for my decorated birthday cakes. It slides easy into a large cake box. You can kind of see the board that this cake is one. Here is a video link to singing happy birthday to Collin and him blowing out his candles. Comments for Disney Cars Cake For Collin! Thanks Brianne for your detailed, helpful and inspiring entry! 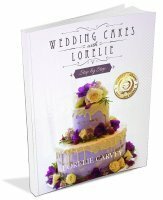 Great tips and recipes and the cake is awesome! Colin must have really loved it too! Sweet cake Bria.....looks like it was hard to make but you made it happen! Way to be!! Awesome cake!! Hoping I can manage to be that creative for my kids birthday. 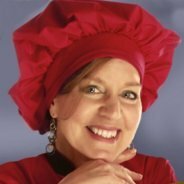 Thank you so much for the step-by-step instructions, tips and inspiring design! 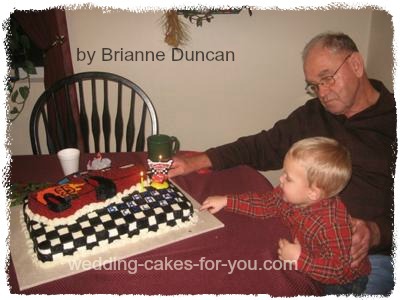 I just love boy-cake design ideas, and the checkered flag backdrop was brilliant. It made the cake eye-catching and fun without taking away from the star of the show. The colors on the car do look just like the show. Good job! As a mother who also enjoys making her children's birthday cakes and decorating them herself, I definitely have respect and Awe for this one. It is beautiful and creative. Good luck in all of your future cakes. 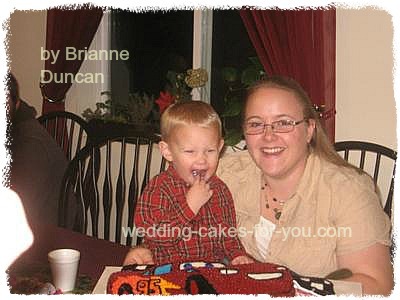 What a rockin' cake, Brianne! Any boy would definitely love it. Good luck with the contest! Your cake was beautiful and every little detail of the car right down to the checker board was perfect. 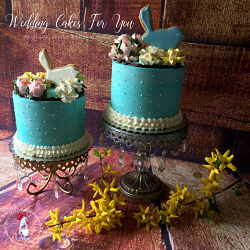 Not only was it beautifully designed but the cake was very flavorful. Great job; keep up the great work. Happy decorating! 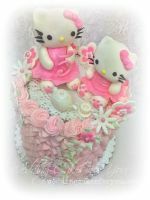 Your cake is so fun! What a special tradition to carry on. I love it. 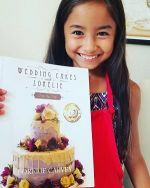 What a great job on your cake Brianne! I can see you put a lot of time into it and it looks wonderful. Keep up the good work.